Can you ever have too much of a good thing? When it comes to magnum-size wine bottles, the answer is yes. The heavier glass and bigger bottles that many wineries now sell are becoming a problem for wine collectors. 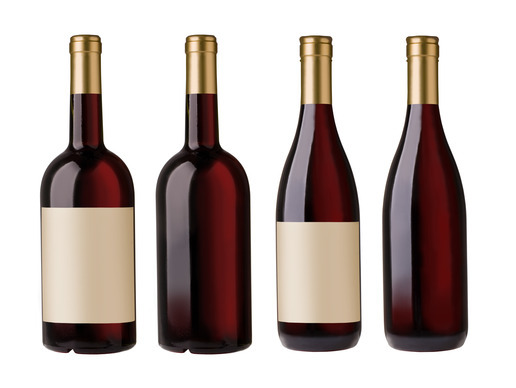 These bottles don’t fit in most racks, which are designed to fit standard Bordeaux-size bottles. Not all of us can be so lucky to have a wine cellar in our homes. Without dedicated storage solution for these larger bottles, you’ll quickly run out of space. As a wine blogger, I’m one of the most affected by this big bottle problem. I don’t have the space to build a custom wine cellar in my home, but I do have a dedicated nook for wine storage. I’m especially proud of our wine rack, which my husband and I picked up at an antique store in Canada. 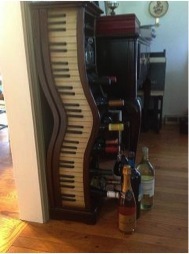 It’s modeled after a piano keyboard and fits perfectly in our living room (near the piano, of course.) It’s a great reminder of our trip, holds 12 bottles and even has room for wine glasses up at the top. But when we purchased the rack a few years ago, we didn’t anticipate our wine collection would grow to such epic proportions. The larger wine bottles are particularly problematic. Many Champagne bottles, 1.5-liter bottles and larger-size bottles simply do not fit in my rack. This is a broken bottle waiting to happen. Or a severely stubbed toe. Fortunately, I’m not the only one with this eyesore. No matter what your needs or restrictions, there’s an oversized wine storage solution out there for you. You could invest in a separate rack especially designed for these types of bottles, or you could buy a rack that accommodates several sizes of wine bottles. If you find yourself with an overabundance of mangum-size bottles, it may be time to rethink your wine storage to keep your collection under control. Here are a few ideas to get started. For a simple, sturdy and affordable solution, try the Country Pine Wine Cubes. Easy to assemble and modular, so they fit most spaces, the cubes can hold Bordeaux-sized bottles but will also accommodate larger-sized bottles. These unfinished pine racks look great as-is, but you could also stain or paint them to match your home’s décor. As your collection grows, you can easily add a cube or two to expand your storage up or out. If you have a large collection of oversized bottles, consider a rack specifically designed for them. This one-column magnum rack is available in a variety of wood and stain colors and will safely store 16 of your Champagne or larger Pinot Noir bottles. Depending on your space, you could install this rack horizontally or vertically, or group a few together to form a larger unit. If you have just a few 1.5-liter bottles and can’t dedicate a whole corner or space to storing them, display bottles by mounting a wall rack instead. These racks are designed to store bottles from the neck instead of the bottle body. Just make sure the holes are large enough for the bottle necks. And if you install a wall-mounted wine storage unit, pay attention to weight restrictions. If you have dedicated space for a wine cellar or wine closet, customize your storage with a wine rack kit. You don’t need an engineering degree to design and assemble the rack. No matter how much space you have available, you can mix and match components and heights to design a one-of-a-kind storage solution for your home. You could frame your collection around your favorite piece of artwork, incorporate a diamond bin wine rack for bulk storage or display your larger bottles on a shelf unit. Don’t worry if all the components seem overwhelming. You can always fill out our wine rack design form, and we’ll create a free set of drawings and a list of all the pieces required to build the wine racks. 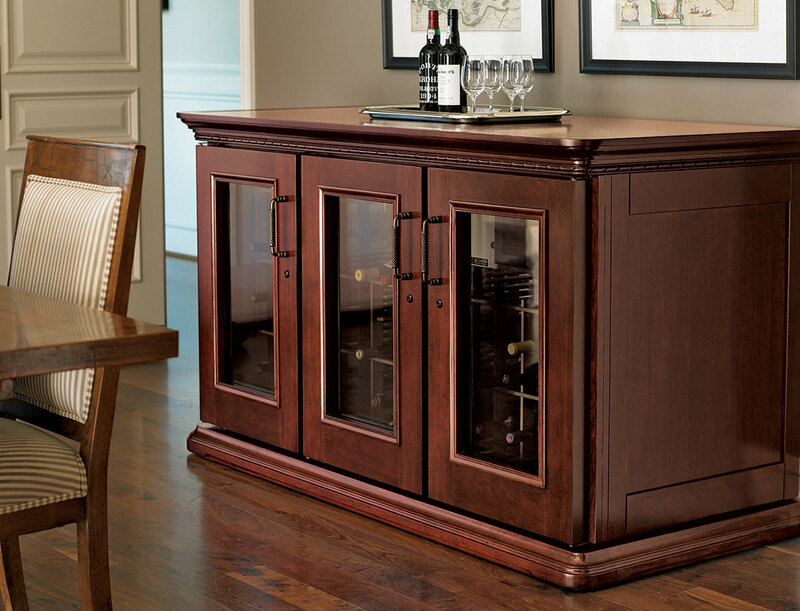 If your home’s temperature and humidity fluctuates, consider a Le Cache wine cabinet or credenza to protect your precious vino. These stunning pieces of furniture are more than refrigerators disguised as cabinets. 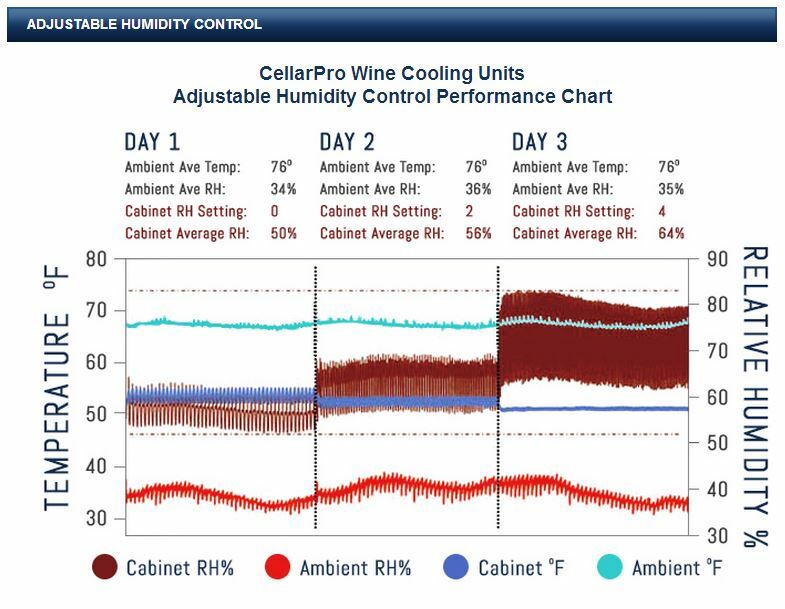 The interior top-vent CellarPro cooling unit and digital temperature controls is specifically designed to maintain optimal wine storage conditions. These cabinets also protect your collection from vibrations, which could cause bottle breakage. Choose from Le Cache cabinets that hold from 115 bottles and up to collections as large as 622 bottles. The wooden slots inside the cabinets are wood, so they won’t scratch bottles or labels. Each slot measures 3.75 inches, which will accommodate Burgundy, Pinot Noir, many Champagne bottles and other large-format bottles. Whether you decide to completely redesign your space to accommodate the larger bottles in your collection or buy a rack that accommodates a variety of bottles, I recommend finding a solution sooner rather than later. Otherwise, your next midnight fridge raid could end in mopping up the broken wine bottles that were sitting on the floor. And that would be a nightmare. About the author: Ann Domeck is a wine blogger and mother to two children, two dogs and one husband. 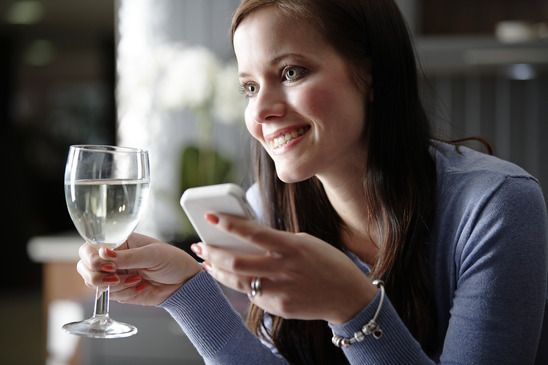 She’s also known as The Winey Mom, which just happens to be the name of the wine blog she writes. Please note her aversion to any type of wine that has an “h” in it (ie: whine!). Another great solution is Web Don’s Wine Logic. This is a great product, easy to install in any cabinet and makes a great solution to wine storage.